High level of testosterone guarantees not only strength growth and athletic body development. It is also an essential component of our well-being and proper functions of the organism. Norms for testosterone level are in the range from 2,3 to 9,8 ng/ml. Do herbs alone help us increase testosterone? Yes, but the growth will be of trace value, around a few per cent, which will not provide any benefits. Does low testosterone level force us to take steroids? No, there are the products called testosterone boosters, which are able to considerably increase the hormone on the scale. There only remains the issue of smart supplement choices. With this aim in mind we decided to designate the way of conscious choices of preparations by the people tracing our blog. We invite you to read the ranking of best testosterone boosters on the market! 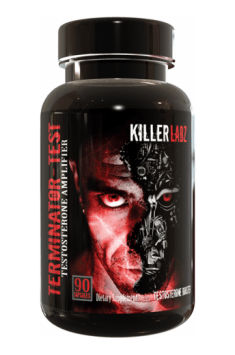 Terminator – Test is a preparation with multidirectional support of the functioning of male organism, which by increasing the concentration of free testosterone and lowering the activity of cortisol, creates optimal environment for muscle mass and strength development. Complex effects positively influence sexual functions. Battle Hardener is a new great set of supplements increasing the level of natural testosterone. High testosterone level is crucial for everybody who expect real results in building both strength and pure muscle mass. Products included in Battle Hardener are perfect also as an additive to slimming cycles and in endurance sports, where regeneration pace of muscle fibers has a crucial meaning. 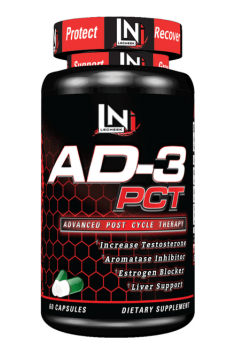 AD-3 PCT – is the newest and the best product of Post Cycle Therapy, which has ever been created. AD-3 consists of ingenious Arimistane (Androsta-3,5-diene-7,17-dione) which drastically lowers estrogen and quickly increases the level of natural testosterone. Additionally, you are given the most effective booster HGH - Mucana Pruriens and protection/regeneration of the liver – Milk Thistle. Form XT is a product created with the thought of increasing testosterone production in men. Activate Xtreme functions by fast and long-lasting block of testosterone to estrogen transformation by lowering the amount of estrogen and by increasing natural testosterone emission. 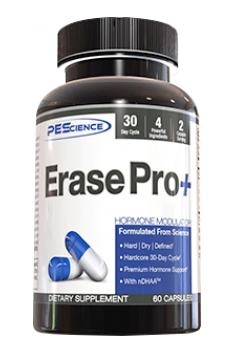 Erase Pro+ is a scientifically devised formula, addressed to the experienced sportsmen looking for a preparation which will add the finishing touch to their painstakingly achieved body. The supplement “hits” the most unwanted and unwelcome catabolic hormone – cortisol. It is a hormone, which usually under the influence of physical stress increases its concentration and wreaks havoc in the organism. Cortisol increases efficiency for a while, but later suddenly weakens it and causes fatty tissue growth and water retention under skin. ATD Plus is the newest proposition form very known and reputable brand specialized in formulations for special tasks - Hades Hegemony. Currently, instead of increasing natural testosterone level, it fixes the damages made by prohormones, SAA or high doses of certain SARM. ATD Plus supports the development of dry, tough and separated muscle mass with the simultaneous improvement of libido and decrease of mood fluctuations.